In my November post last year, I made a comparison between the Law of Animalism and the Doctrine of Universal Truths. In that post, I listed the Animals in my book in the order of appearance. But alas, I forgot to mention the Albatross! The Albatross appeared after Eagle but before the Wolves. How could I have missed out the Albatross, which after all, is the metaphor for my financial woes. This post aims to redress that omission by discussing the reasons why we shouldn’t forget l’albatros. Albatrosses are among the largest of flying birds, and the great albatrosses (genus Diomedea) have the largest wingspans of any extant birds, reaching up to 12 feet (3.7 m). Albatrosses have a large bill (which is apt), in light of the current discussion about money (1). The albatross is among the most graceful and effortless fliers of all seabirds. It can glide in the wind for hours, never flapping its wings. However, in calm weather, it tires easily because of its large body (2). As far as birds go, an albatross is a welcomed addition to the ornithological diversity of this great world of ours. There is a good summary about the poem here. If the only lesson from albatross – the metaphor, is financial prudence – then we will be missing the point! I actually don’t feel I was altogether imprudent. Yes, there were mistakes but they were made because of the overwhelming desire to make things better. It was a risk – a calculated risk. Financial consideration became relegated to second place when the overwhelming reality of the societal injustice dawned on me. It made me sadder and wiser alright! I also felt, with God’s help of course, that if I got it right, the financial albatross will melt away (sorry BERNARD). The poem by the French poet, Charles Baudelaire is relevant here. In the poem L’albatross (The Albatross) from the Les Fleurs du Mal (The Flowers of Evil), Baudelaire describes how graceful an albratross is in flight and how clumsy it is walking, sometimes tripping on his own webbed feet. It is a poem about how sailors often capture these albatrosses to amuse themselves. After the Albatross is caught, the crewmen take control of them on the deck. “These humiliated kings of the azure skies drop their great white wings, like the oars of a boat, as they move about clumsily”. This is a poem about the ugliness and cruelty of life. It is very easy to see why one might have been seen as a captured albatross but wise mariners know that killing an albatross is a bad omen indeed. The sailors in The Albatross are examples of cruel people (3). I can now see that when the usher shouts Albatross!, Albatross! !, Albatross!!! ; the first question uttered is ‘What flavour is it?‘. Not ‘How can we save it?’ or even ‘Is it dead?’. Even if you thought it was an Albatross, it is very egregious to muck it and unwise to kill it. As God will have it, this wasn’t an Albatross after all – you got the wrong bird…and that is a failure of sight and insight. Nevertheless, you didn’t kill it: which in effect means no one need to carry an albatross round their neck! Lest we forget the reason for Albert Ross: To show us the way when we go wrong, Show us what we can be like and to find a mate…which is not always successful. 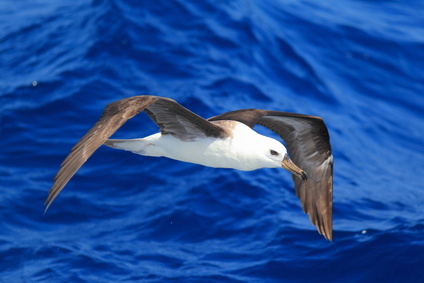 This article was posted in Discussion and tagged albatross, bird, book, metaphor.